The media has alerted the general public to a number of security breaches, some more notable than others. Whether they are large or small, these security breaches represent an issue for the consumer and confidence in the cloud is at an all-time low. Services like iCloud and Dropbox are losing customers left and right, but if you are like most, you enjoy the features that the cloud has to offer. Read below about setting up your OwnCloud. Synching files, notes, photos, calendars are great examples of cloud services, and in the modern world, they tend to make our lives significantly easier. We don’t want to step away from those services, by any means, but we do want to ensure that they can be incorporated into our lives without some sort of risk. That being said, there are services, such as ‘ OwnCloud ’, which can provide us with the same features and the same abilities. The best part is that it only takes five minutes to get started, at least if you follow this simple tutorial that we are about to provide. 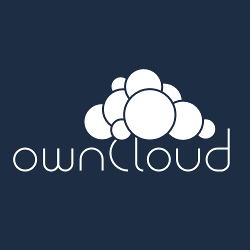 The ownCloud service is so simple that anyone can start using it right away! You will need a web host that is configured for both PHP5 and MySQL. Fortunately, most web hosts are already set up for this, so check out Dreamhost or GoDaddy if you wish. All you need to do is take a look at what they offer, as the various services will be listed before you make your purchase. You’ll need a domain name or at least a subdomain so that you can access your cloud from the outside. So long as you have these things, you will be able to access your cloud in a couple of minutes. Though you do need PHP and MySQL installed on your host, you will not have to use them directly; ownCloud takes care of all that for you! Your copy of ownCloud will be installed through the Web Installer, though more advanced users can use different methods. Regardless, the installation will be incredibly easy! We mentioned before that you will need a URL for remote access, and you can buy one from your web host. If, however, you happen to be a more advanced user, you can simply resolve your IP address and access it via that. We’re going to walk you through the web installer, and the best part is you won’t need any particular technical skills. Do we keep saying that, don’t we? Something important to note is that the operating system does not matter so long as it features a graphical user interface. The installer is a PHP program and it is launched remotely. What does this mean exactly? It sounds complicated, but it really isn’t. Because it is launched on the remote server rather than your own computer, it simply takes advantage of the remote PHP plug-in rather than depending upon your operating system. That being the case, you can run the installer whether you are using Windows, Linux, Mac, or FreeBSD. Why would you be using FreeBSD on the user side is anyone’s business, but hey, who are we to judge? Are you ready to get started? Good, so are we! Follow the instructions below and be on your way to cloud independence. Step 1: Download the web installer to your PC. You will find it on the ownCloud website, and the current version will be expressly offered. Step 2: Place the file setup-owncloud.php on your web server using an FTP application. For this step, it is strongly recommended that you try to use a third party FTP application rather than using the built-in Windows application. The Windows FTP service does work but it sometimes has trouble maintaining a connection. If all else fails, you can obtain a copy of Putty from www.putty.org, which, while not expressly intended to be used as an FTP client, does the job quite nicely, and without any sort of complications. This is the only part of the process that might be considered complicated. From here, the program will launch an installer as if it were a simple application on your PC. Step 4: Follow the instructions as if you were installing a local program. It will go quickly, and before you know it, the software will be set up on your cloud! Once you have the software installed on your web server, you will need to sync it with your desktop to ensure that the files you have on your computer match the files that you have on your cloud. You will be able to access your files anywhere, on any device without worrying about security. Your server, being your own, can be locked down in any way you please, whether you want to place it behind a software firewall, hardware firewall, or rely on anonymity as your security. The choice is yours, and so is the cloud!